This summer we added new Walkthrough Tutorials to SpendMap to help you learn the system quickly and easily. 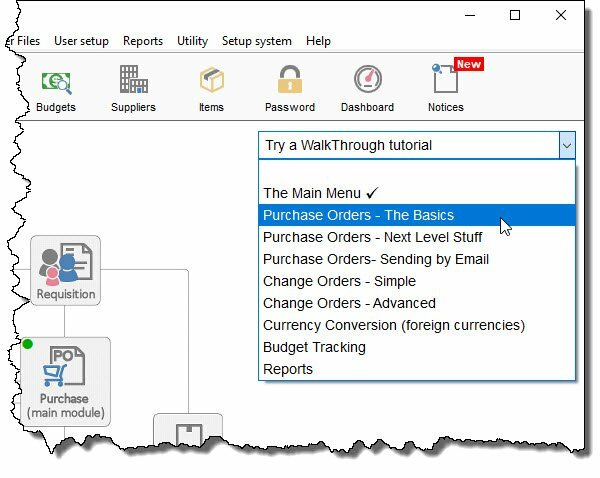 We’ve already added 10 Walkthroughs to the Free Version of SpendMap, covering the most popular areas of the Purchasing, Receiving and Email Integration Modules. Those same Walkthroughs will be available in Pro Version demo/training systems shortly and we’re currently working on tutorials for the balance of the modules. Once the dust settles on this first round of tutorials that use our generic sample data, we plan to offer custom tutorial development services, to create Walkthroughs tailored to your specific company and processes, taking into account your specific business rules, your data, etc. 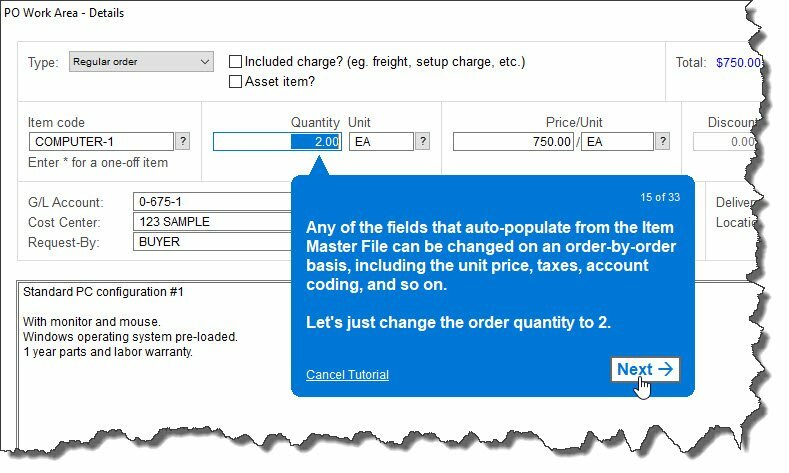 These customer-specific tutorials will be a great addition our existing training services and other onboarding resources, to provide a self-service training option for your staff that takes into account your own terminology, your own account code structure, your own suppliers and items that your staff are familiar with, and so on.